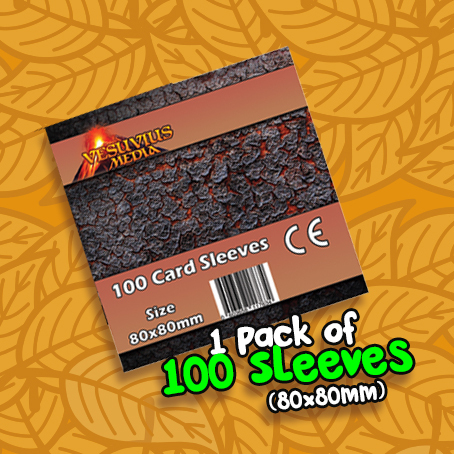 This pack contains 100 Standard Quality Sleeves of size 80mm x 80mm. They are perfect for Dwar7s Fall and it's expansions. 3 packs (300 Sleeves) for all the cards in the Dwar7s Collector's Edition (including Stretch Goals from the campaign).